DUBLIN CITY COUNCIL has met with Greyhound and the Big Bin Company as part of its efforts to curb illegal dumping in the north inner city area. The fourth report of the North Inner City Litter Action Group (NICLAG) was presented to the Central Area Committee this afternoon. The report says that Quadrant no 5, where 18 streets were examined, was “one of the worst areas for illegal dumping of domestic waste”. It includes multi-unit properties, which are generally the most problematic in the north inner city area, said the report. The group recommends that a number of the multi-unit properties be targeted by the Environmental Health Inspectorate as part of their work in examining such units that may be substandard. List of properties and streets in the area have been passed to the section for notices to be issued and inspections to be carried out. It is hoped that this will impact on the illegal dumping in the area. They will also be targeted as part of the proposed poster campaign on littering and illegal dumping of rubbish in that area. The campaign will cost an estimated €15,000 and will be rolled out through the different quadrants. The group will examine possibility of creating a mobile phone app for easy access to waste collection information. The council met with the Big Bin Company at their request, in order to see if appropriate areas can be found in the North Inner City where they can place their compacting bins. The report said that if agreement can be reached, placement of these bins will not be an additional cost to the City Council. The Central Area office met with some landlords, and an agreement was reached that if requested that council officials will meet with any of the representative groups of landlords in order to agree “common ground” on illegal dumping and to see what progress can be made on these issues. There is an indication that some landlords are very keen to co-operate in a positive way in order to resolve the issues. Senior representatives from Greyhound also met with the council, to see if more cooperation between the local authority/waste collector and their clients can be put in place. The Greyhound representatives said they preferred bins to bags in their collection areas, and where feasible and commercially viable Greyhound will provide bins. As part of the introduction of the new bye-laws later this year, this issue will be addressed. Greyhound and DCC agreed to meet on a regular basis to discuss issues. Letters will be sent to City Council tenants, private residents and landlords of multi-let units asking how they dispose of their waste and who their collector is. The councillors were told that people who don’t respond to these letters are in breach of their tenancy, so lack of reply will be followed up. Efforts will be made to look at “enhancing and making more use of” the litter warden service and to ensure that certain areas within the north inner city get special attention by a team of litter wardens. This is in order to increase the number of fines where illegal dumping is prolific. The council is considering whether to roster litter wardens to travel with the waste management crews, while other ways of enforcing the Waste Management and Litter Pollution Acts are also being examined. The group suggests that members should travel to the UK or the North of Ireland to get a sense of the litter problems these cities have encountered and how they remedied them. The latest NICLAG inspection showed that illegal rubbish included food and drink packaging, debris, and household waste. As well as houses and flats, litter was generated by retail units, off-licences, pubs, take-aways, and even a pharmacy and doctor’s surgery. Cllr Mary Fitzpatrick told the meeting that she was glad a plan to suspend street cleaning in areas where there are high levels of illegal dumping was abandoned, as it would not have had positive results. 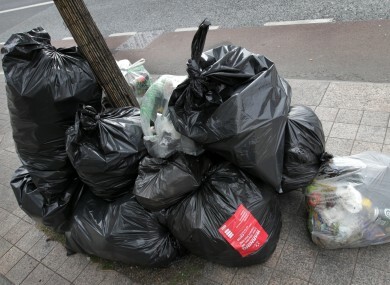 Email “Dublin City Council meets with bin companies on illegal dumping ”. Feedback on “Dublin City Council meets with bin companies on illegal dumping ”.